Do you have events or other items of interest to our members that you would like to see included on our web site? 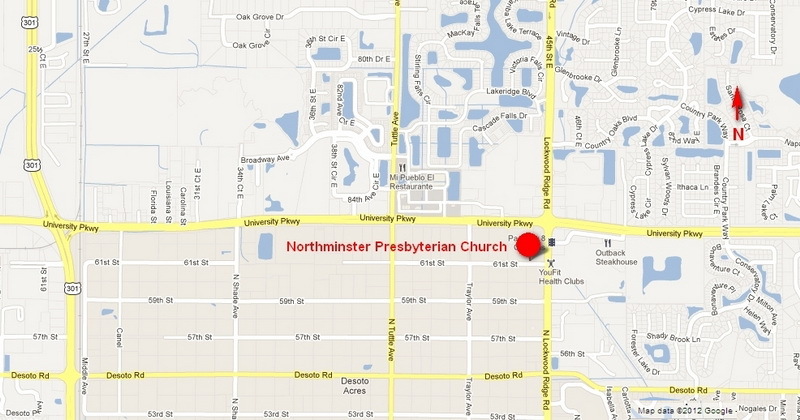 If you are interested in learning more about Northminster, please contact us! You can find us on the corner of North Lockwood Ridge Road and 61st Street, just south of University Parkway as shown on the map below.